Imagine a complex bevelled cluster with hundreds of individual swirls of glass laced with a variety of unique textures creating exquisite prisms of light throughout an entranceway. As you would guess a beautiful end result but very, very expensive. 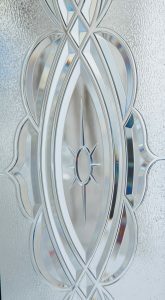 This was until the invention of luxury resin bevel decorative glass. 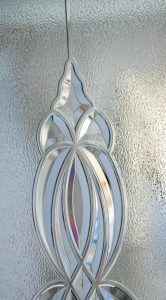 These stunning glass designs are manufactured using advanced resin technology cast within the insulated unit offering superb visual effects coupled to functionality that even the original couldn’t match. 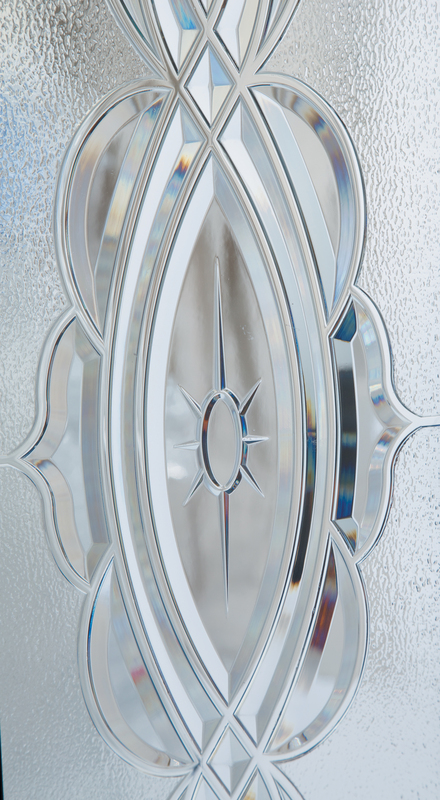 There is no limitation on design and for the first time extremely ornate bevel glass has become affordable to all. The patented technology used in our resin bevels mean that bespoke designs can be created that would be impossible to reproduce using conventional techniques and the surface finish of our product is of an incredibly high quality finish. We also have a product of the highest quality that has remained clear after a 10 year UV weathering test and does not yellow.